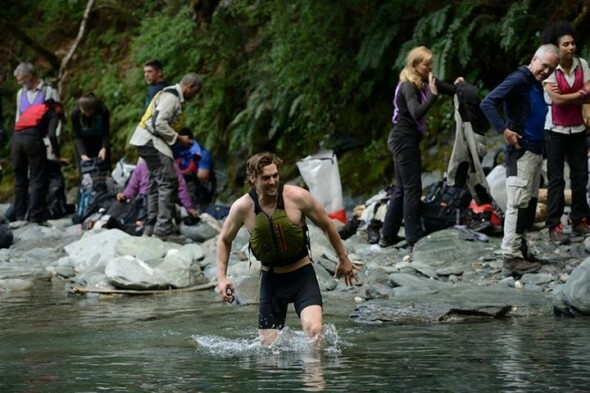 Monday, July 8, 2013 ratings — Premieres: Get Out Alive With Bear Grylis. New episodes: American Ninja Warrior, Siberia, The Bachelorette, Mistresses, Oh Sit!, and Under the Dome. Reruns: The Carrie Diaries, How I Met Your Mother, Mike & Molly, 2 Broke Girls, Mike & Molly, Raising Hope, New Girl, and The Mindy Project. 8pm – The Bachelorette: 1.9 in the demo with 6.81 million. 10pm – Mistresses: 1.2 in the demo with 3.97 million. 8pm – How I Met Your Mother: (rerun) 1.1 in the demo with 4.00 million. 8:30pm – 2 Broke Girls: (rerun) 1.2 in the demo with 4.17 million. 9pm –2 Broke Girls: (rerun) 1.3 in the demo with 4.82 million. 9:30pm – Mike & Molly: (rerun) 1.2 in the demo with 5.04 million. 10pm – Under the Dome: 2.7 in the demo with 10.57 million. 8pm – Oh Sit! : 0.2 in the demo with 0.75 million. 9pm – The Carries Diaries: (rerun) 0.1 in the demo with 0.34 million. 8pm – Raising Hope: (rerun) 0.6 in the demo with 1.77 million. 8:30pm – Raising Hope: (rerun) 0.6 in the demo with 1.53 million. 9pm – New Girl: (rerun) 0.5 in the demo with 1.30 million. 9:30pm – The Mindy Project: (rerun) 0.6 in the demo with 1.46 million. 8pm – American Ninja Warrior: 1.6 in the demo with 5.05 million. 9pm – Get Out Alive with Bear Grylis: (series debut) 1.4 in the demo with 4.17 million. 10pm – Siberia: 1.0 in the demo with 2.72 million.